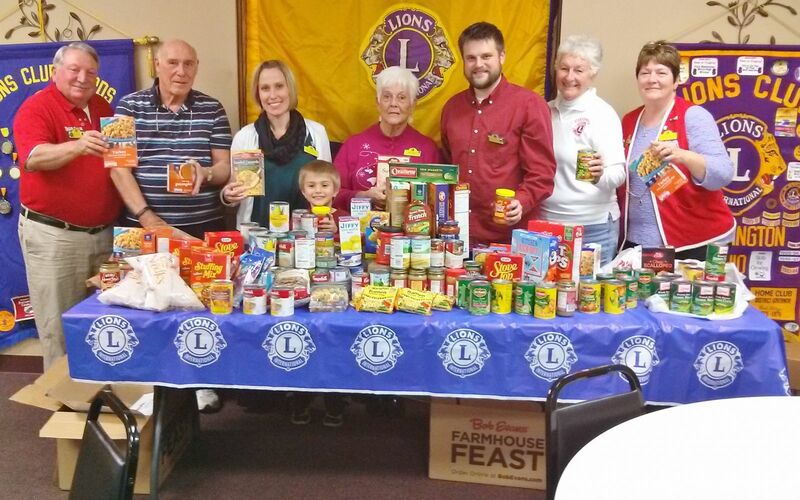 Pickerington Lions Club with food collected for needy families at Thanksgiving. WHO ARE THE PICKERINGTON LIONS? The Pickerington Lions Club is made up of men & women who want to help make a positive difference in the lives of those less fortunate. How do we help our community? Since 1946, the Pickerington Lions Club has been serving the Pickerington Community. We invite you to join us and help make a positive difference in the lives of others while making new friends. Become a member, give a donation, share an idea or volunteer some time. Contact us anytime with questions or suggestions. EYE CARE SERVICES: Need Eye Care Services and can't afford them? Click the Eye Care Services link, print off our request form and mail it to the club at PO Box 163, Pickerington, OH 43147.